Arriving on station with the USS Ranger (CVA-61) in early December 1967, the first Corsair II squadron became operational immediatedly and sustained its first combat loss three weeks later. 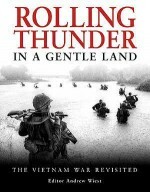 This book tells how the A-7 soon proved its worth supporting ground operations in South Vietnam. As it continued to serve in the ground support role, the navy swiftly introduced the A-7E which soon ran into difficulties with supply lines - perhaps on account of what many perceived to have been a rushed introduction to service. Once these teething problems were resolved, the A-7E became the primary air-to-ground aircraft of the fleet. Peter Mersky is a former US Navy commander who won the highest naval award for journalism following the publication of ‘F-8 Crusader Units of the Vietnam War' and ‘RF-8 Crusader Units over Cuba and Vietnam' (Combat Aircraft 7 and 12.) He retired from the service last year to become a full time aviation writer.Jim Laurier attended Paier School of Art in Hamden and has been working professionally in the field of Fine Art and Illustration ever since. He is a qualified pilot, and in his paintings he combines his love of history with his flying experiences to create some of the most realistic and historically accurate aviation art seen today. Jim's work is on permanent display at the Pentagon and has been published in many books, magazines, and calendars.